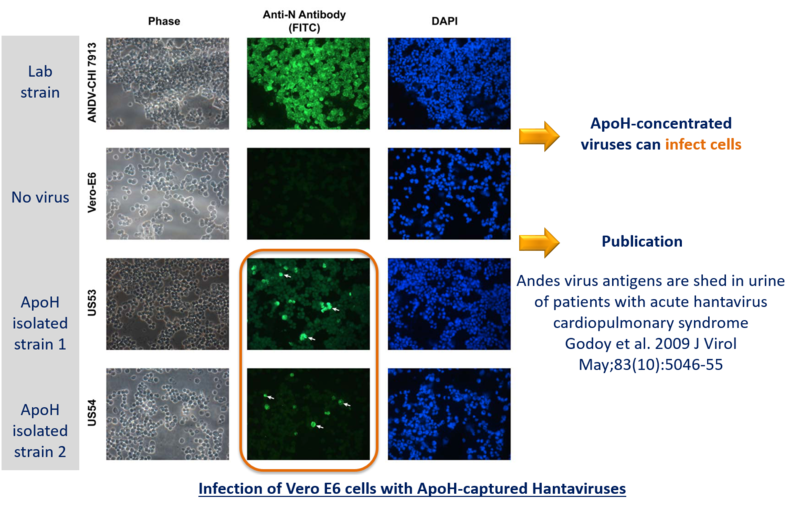 As an actor of the innate immunity, the ApoH protein is able to interact with a wide range of non-self elements, including viruses and bacteria. However, one must bear in mind that ApoH has increased affinity towards infectious micro-organisms. 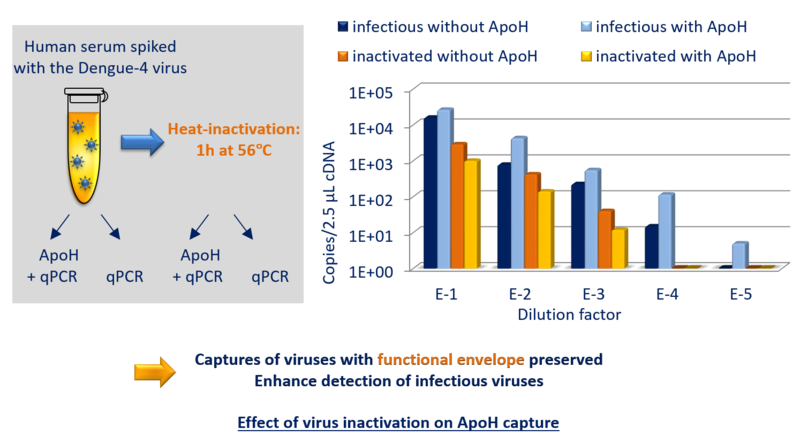 It is then highly recommended to inactivate viruses only after their contact with ApoH and to avoid the use of bacteria having lost their virulence, such as some collection bacteria which induce limited capture yields. 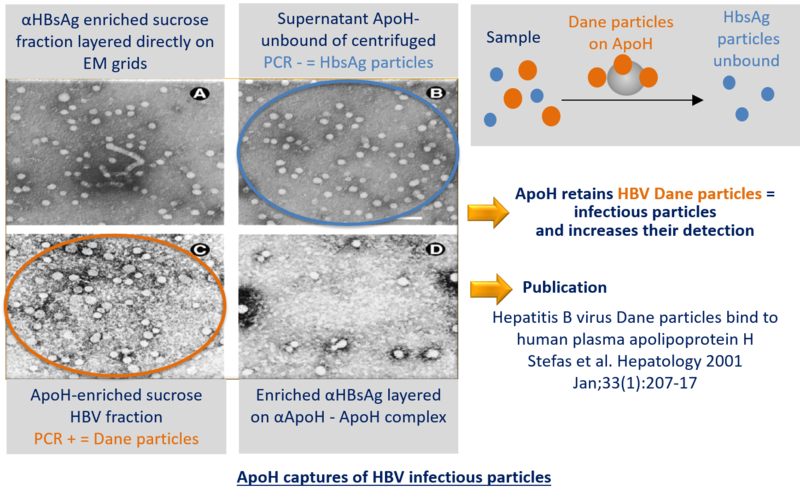 Likewise, a poorly stored sample can cause damage of micro-organism surface, so inhibiting ApoH interaction. 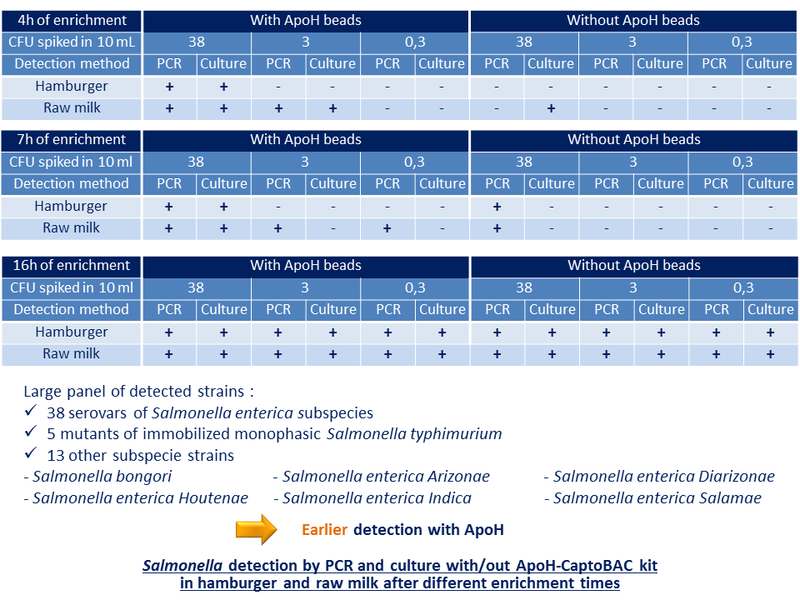 The sensitivity of our bacteria capture kit CaptoBAC makes it possible to work directly on the sample without needing long culture pre-enrichment like with hemocultures. 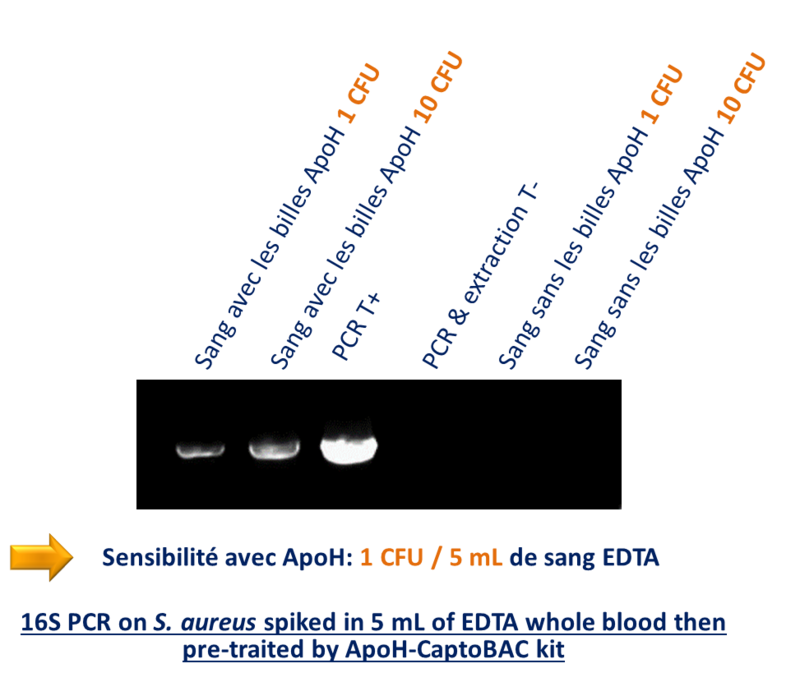 Test with S.aureus spiked in EDTA blood revealed a 1 CFU / 5 mL limit of detection. Such sensitivity is the key to saving considerable time, which in turn leads to better infection management. A good number of the above-mentioned bacteria came from hemocultures. 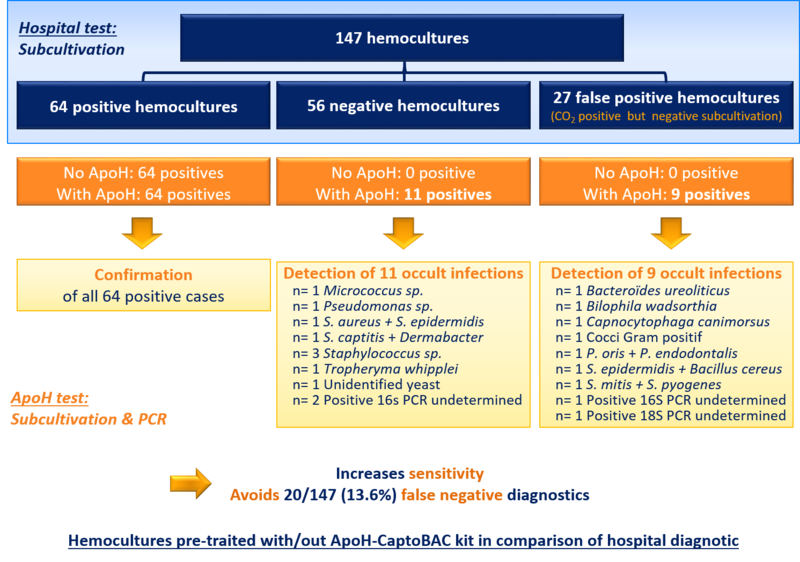 Indeed, the ApoH-treatment of 156 hemocultures led to tracing and resolving 13.6% of «false negative» cases. 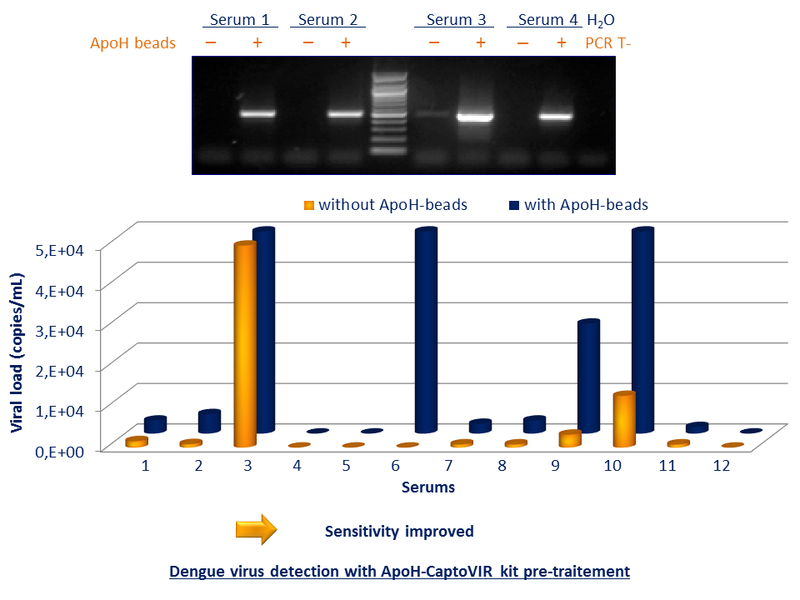 These results can be explained by the use of higher sample volume for the bacteria detection, thanks to the concentration capabilities of ApoH beads, and also by the removal of PCR inhibitors after washing the ApoH-bound bacteria. 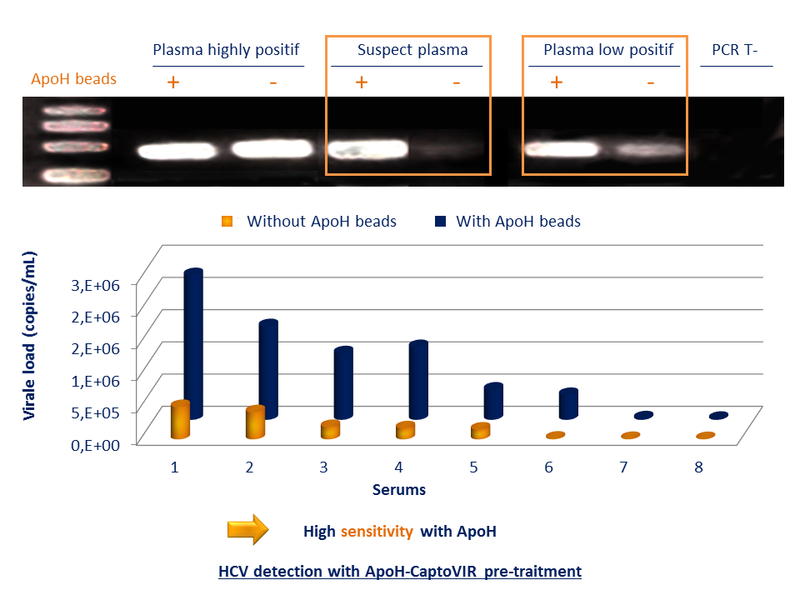 Multiple collaborations have allowed us to validate the viral capture kit CaptoVIR on many viruses, including ones from the European USDEP project (Ultra Sensitive Detection of Emergent Pathogens). 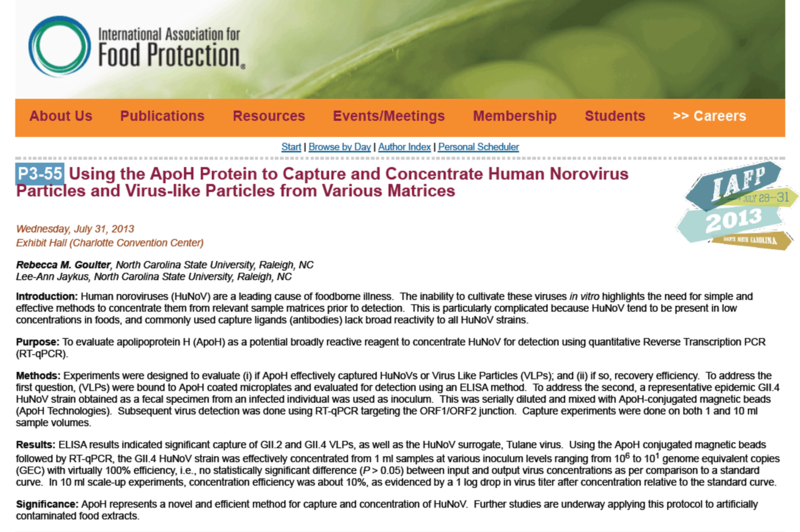 This method has shown great efficiency on enveloped and non-enveloped DNA or RNA viruses.